Gluten Free Festive Fruity Mincemeat Puddings..
Are you following a Gluten Free Diet? If so today I have some yummy Gluten Free Festive Fruity Mincemeat Puddings to share with you. (Dairy + Gluten Free). 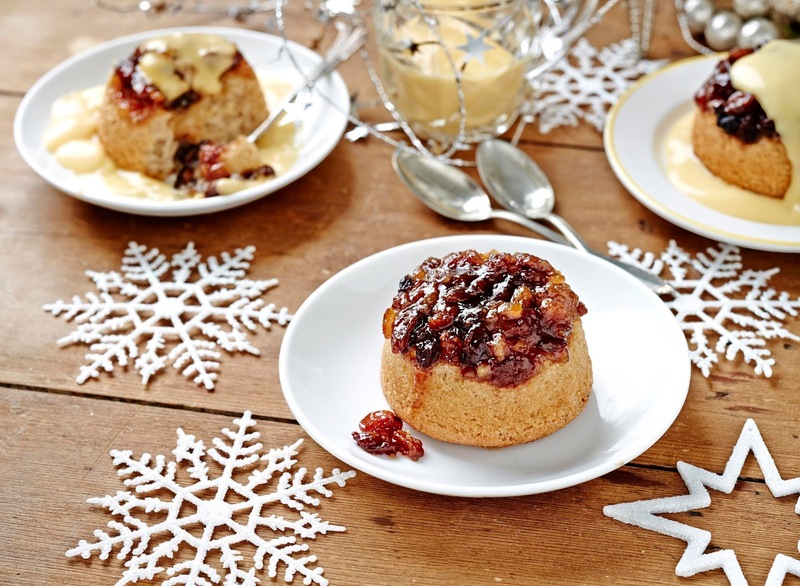 Delicious individual spiced sponge puddings with a festive fruity mincemeat topping. Perfect for any Christmas meals you may be planning. Preheat the oven to 180C/160C fan. Grease 10 individual pudding moulds and place onto a baking tray. Spoon a heaped tablespoon of mincemeat into the base of each mould and smooth into an even layer. Make sure your butter (or dairy free alternative) is soft. 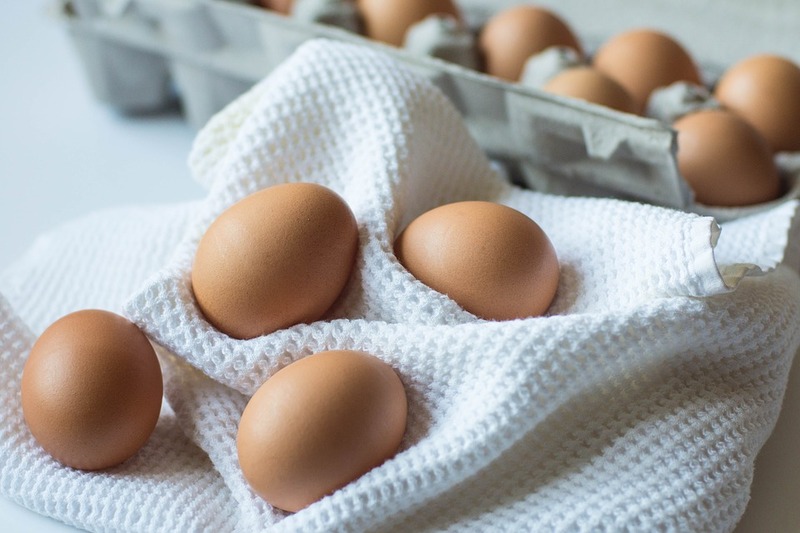 Place the vanilla cake mix, butter (or dairy-free alternative), mixed spice, eggs and water into a large bowl. Beat together with an electric whisk for 15 seconds. Stop, scrape down the bowl and mix for a further 10 seconds. Divide the mixture between the pudding moulds, filling three-quarters full. Bake for 18 – 20 minutes until risen and lightly golden brown. Leave to cool in the tin for 1 minute. The puddings will be very HOT. Use rubber gloves or a tea towel to help you, run a knife around the inside rim of the tin and flip out onto a plate. Spoon any mincemeat left in the pudding moulds back on top of each pudding. Serve with cream, custard, brandy sauce, ice cream or dairy free alternative of your choice. Recipe c/o Delicious Alchemy. No payment was received. Fancy trying these Gluten Free Festive Fruity Mincemeat Puddings out? Let me know if you get to make some up. The Laughing Cow Cheese And Chicken Wraps..
"Tweet Owl Cupcakes: Baking With Children"
"Fashion Fridays: The Weekend Blog Hop…"
I love that these are gluten free! I've struggled for the last 18 months to find things I love that are gluten free, these are definitely something I will try out! Oh wow! This really looks a lot like xmass! I can’t wait for festive season to arrive. Thanks for stopping by Agata 🙂 I know, we all love Christmas. These look totally delicious and great that they are gluten free! Making me feel hungry! These look tasty. Going low salt this year so struggling so any suggestions? These look yummy, I could eat one now with some brandy butter and ice cream. Ooooh I love the look of these and extra brownie points for the fact that they are GF! These do look tasty. Yes please. They look absolutely delicious and so festive!